Product information "Shibumi-Flower Printed Silk Tie - Espresso - Handrolled"
Classic, dark brown tie printed with the most exquisite of all patterns: the Shibumi flower. As most brown ties, this one goes with a variety of outfits, for example with a grey suit, white shirt, coral pocket square, brown Dugdale braces and dark brown full brogues. 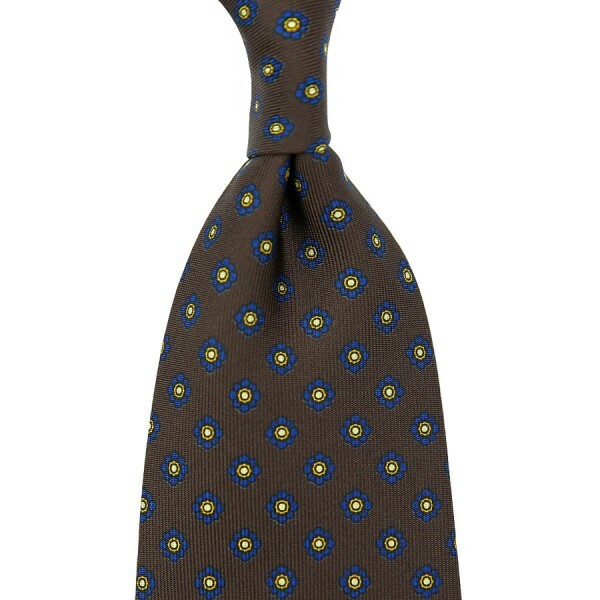 Related links to "Shibumi-Flower Printed Silk Tie - Espresso - Handrolled"